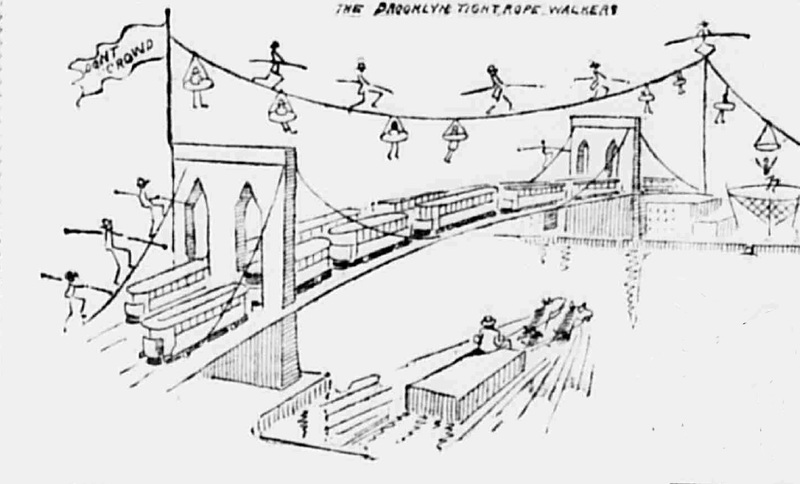 In 1902, there were two ways to get from Brooklyn to Manhattan, take the ferry or take the cars over the Brooklyn Bridge. 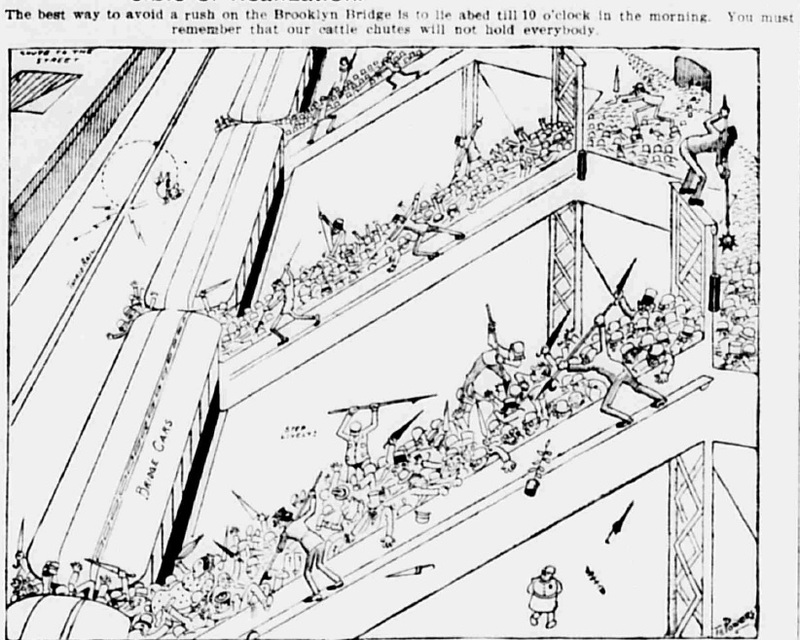 So, all the burgeoning mass of humanity that lived in Brooklyn and worked in Manhattan crowded onto the streetcars that went across the River. 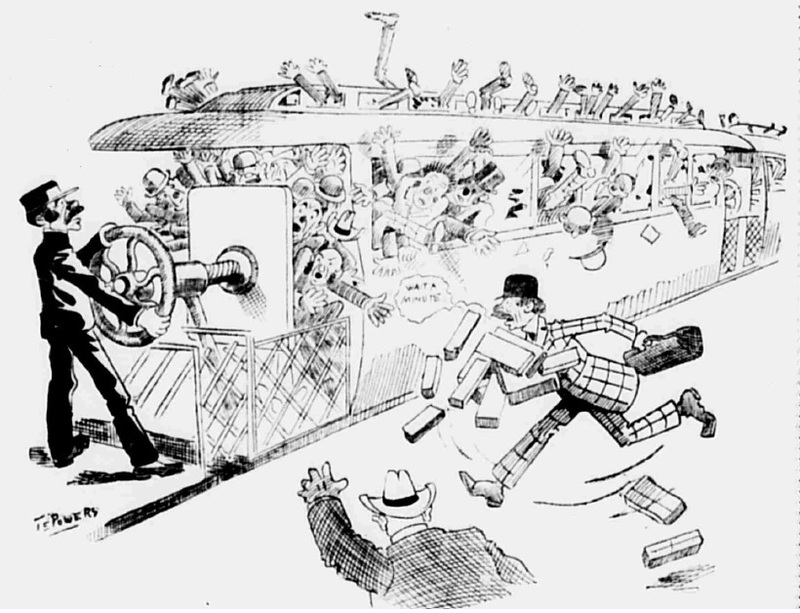 And with the boom in population – New York would increase in population by nearly a third in the first decade of the 20th Century – the cars got crowded. 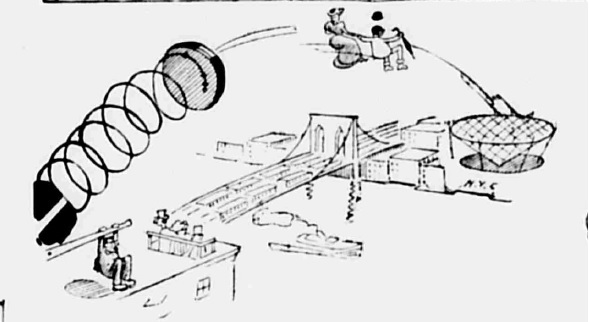 The streetcar managers put more cars on the Bridge, which only slowed the entire ride down, and did little to ease the traffic. It was a nightmare. New Yorkers, frustrated by the crowding and the delays, drew helpful suggestions, which we present to you now. 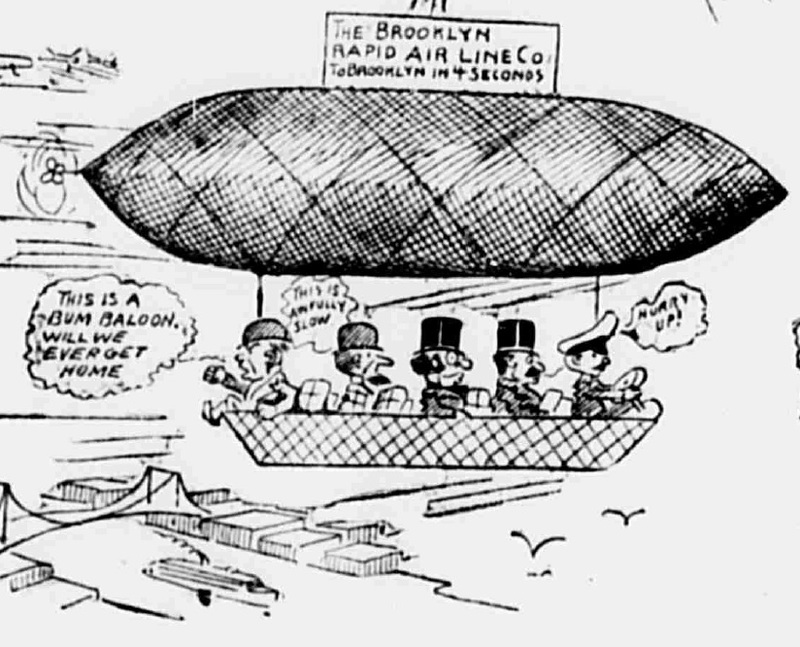 First we present the Brooklyn Air Line Company, complete with its own set of disgruntled passengers complaining about the slow speed. As a more rapid alternative, we give you the spring loaded solution, sure to leave you with a bounce in your step. 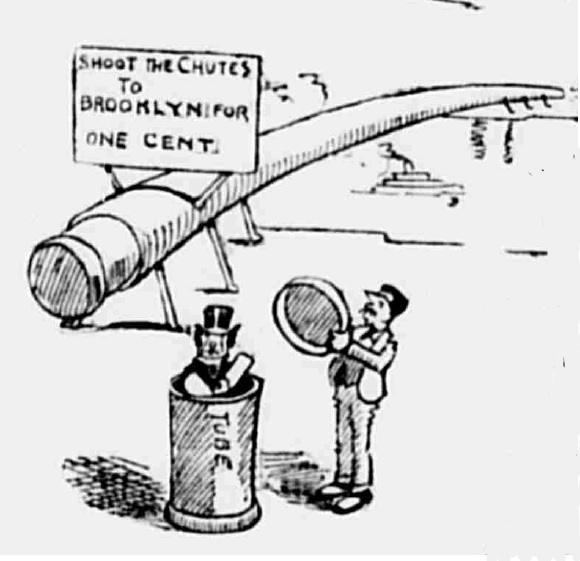 Let’s not forget the option to shoot the chute, inexpensive and advantageous for giving a gentleman his own private means of getting across the River. …and it certainly was nicer than employing cattle chutes. Fortunately, the City had dedicated itself to bridge building – the Williamsburg Bridge had been under construction since 1896, but wouldn’t open until 1903, and work began on the Manhattan Bridge in 1901, the crush would ease, but if you’re really zealous about feeling like your New York forbearers, just hop a 6 train at rush hour.